Home > Band News	> Getting together, feeling the music…and the cold. Ah, autumn. The leaves are falling, short days of grey clouds and rain, and that creeping feeling of cold in your bones. Every piper who plays on Remembrance Day, usually the last outdoor performance, knows what I’m talking about. The warm days of summer are long behind us and it’s indoor practices from now until the spring. I do admit, however, that we have it easy here in Vancouver. 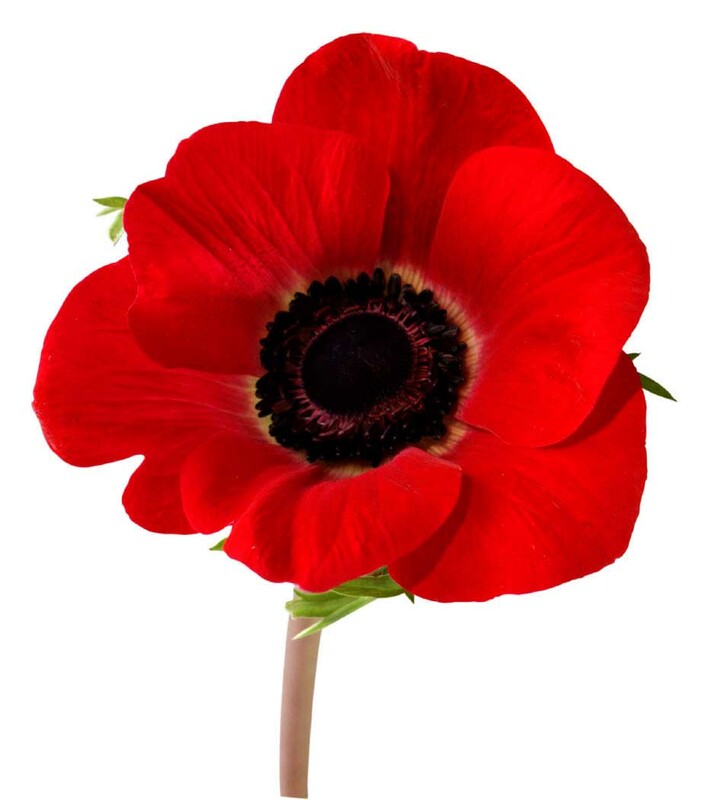 I can remember playing the lament at a Remembrance Day ceremony in Goose Bay, Labrador 10 years ago. It was -11. 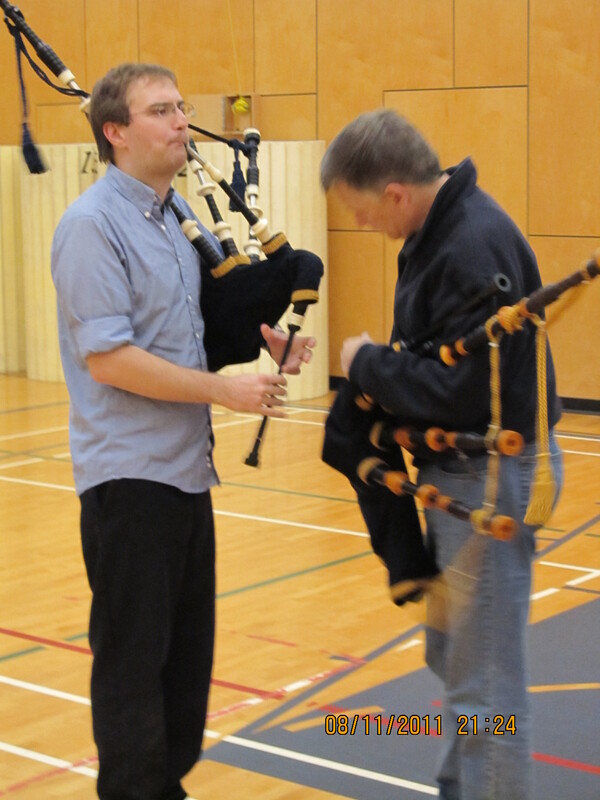 No indoor ceremonies for those hardy Labradorians…or the poor piper. 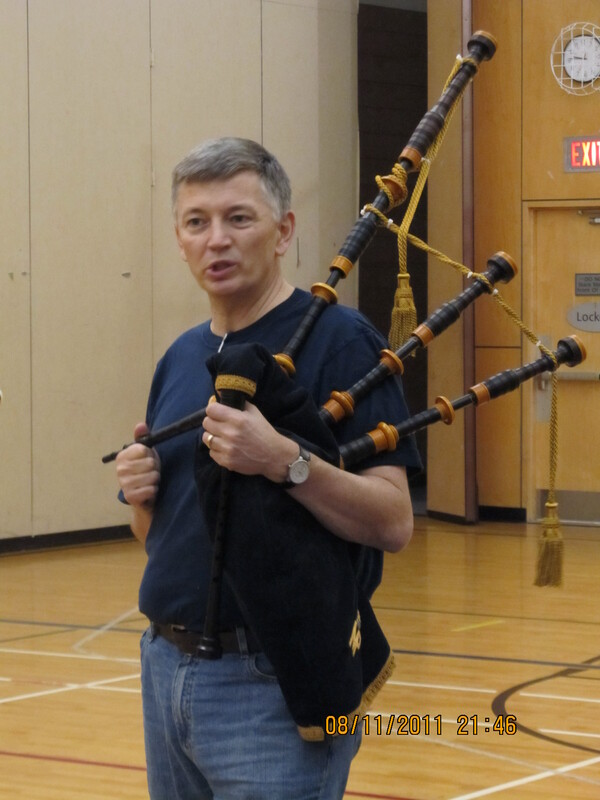 On Friday November 11, the RCMP E. Division Pipe Band along with a troupe of RCMP members will march our veterans to the cenotaph at the Cloverdale Legion in Surrey. We look forward to playing, and paying our respects to those who have given their lives to protect our freedoms. Cold hands and fingers are a small price to pay. 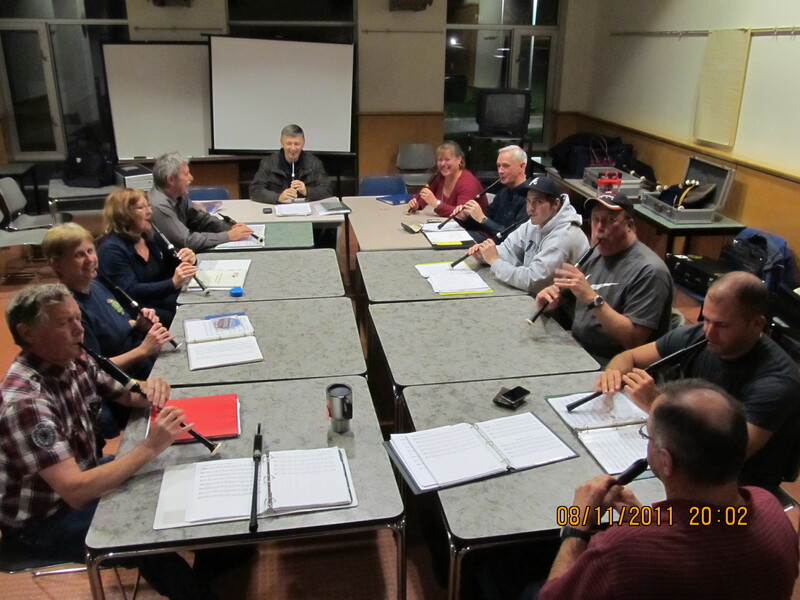 The band is busy with fall practices at the Justice Institute of British Columbia in New Westminster. 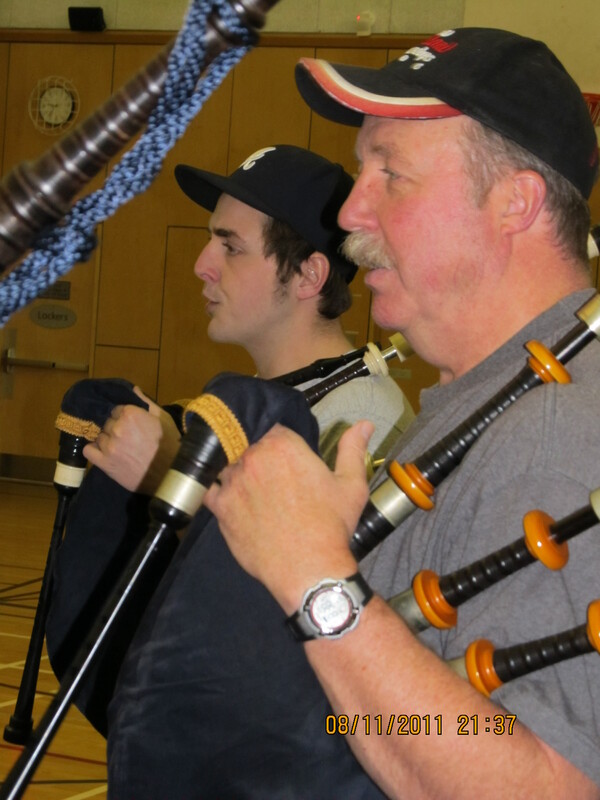 Every Tuesday we gather to run through our tunes on the practice chanter and on the pipes with our drum corps. 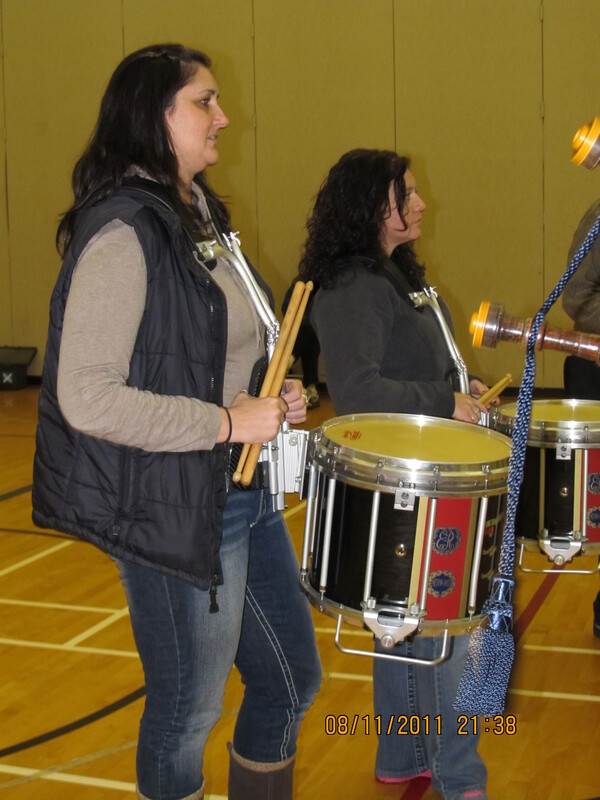 With Remembrance Day on Friday, there is an extra effort to ensure all the reeds are functioning properly, the drones are in top shape and the drums tight. Here are a few photos from our most recent practice. 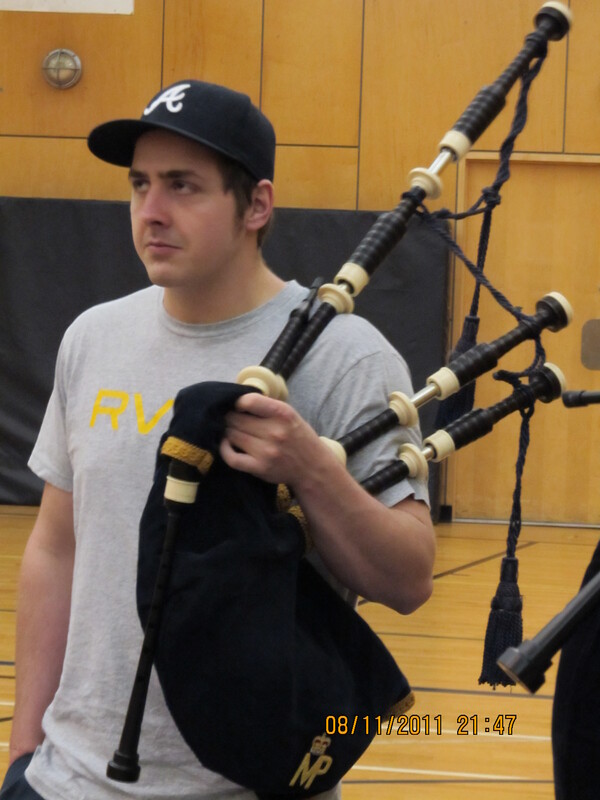 Feel free to drop by for a listen, or join in if you’re looking for a great bunch of people to play the pipes and drums wit h.
Cameron Ballard & Pipe Sgt. Mike Guillimin.